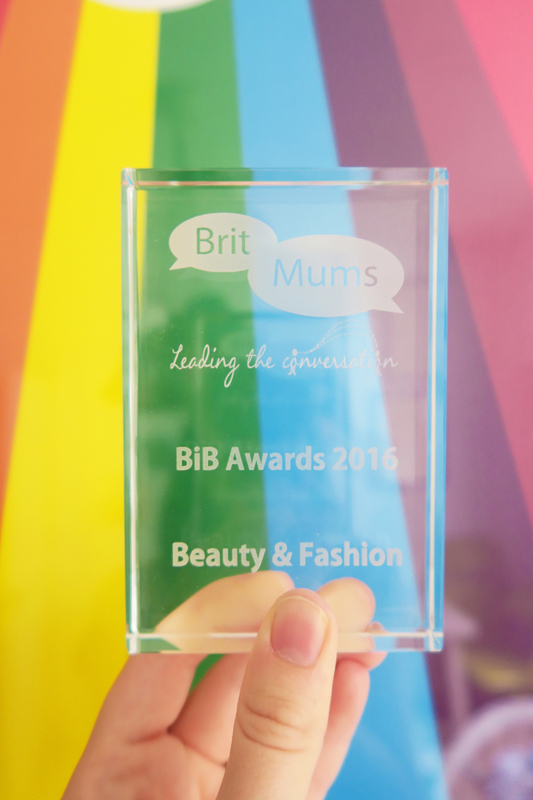 Tigerlilly Quinn: Brit Mums 2016 and winning an award! A little over a week ago now I attended Brit Mums, the UK largest blogging conference designed for parent bloggers. I went for the first time three years ago now (see this post, haha I'm quite glad my style has changed a bit since then ;)) when Wilf was 18 months old. I remember finding it massively overwhelming and not really knowing anyone. Some of the bloggers I met then seemed like such big shots compared to me, in fact I remember meeting Alice and Katie and feeling a bit lost of words. It's funny now that I consider them both really good friends! Everyone is the same really, you just build people up in your head because you admire them I guess. Anyway, I hadn't attended since then because of this or that reason (pregnancy being one of them) although for the past two years I had been lucky enough to have been nominated for awards in the 'Brilliance in Blogging awards' at the event which was such a buzz and a confidence boost be nominated for. I was invited this year by Boots Soltan and as I actually have a little baby again I thought that it was probably a good time to go. I was also really excited to meet up with lots of my blogger friends that I knew would be there, and their littles babies too! I knew my friend Lucy was going to be bringing her little one and as our babies are pretty close in age I thought it would be so cute to get to them together, I think Lucy took some footage of that so I'll come back and link to it when it's up on her channel. The day before I headed up and met up with the Boots Soltan team to learn all about skincare. Here we learnt about the different type of UV rays and how to protect your skin effectively. For example, did you know that there are two types of ultraviolet light, UVA and UVB; UVA penetrates deeper and is mainly responsible for ageing whereas UVB penetrates less deeply but also causes sunburn. 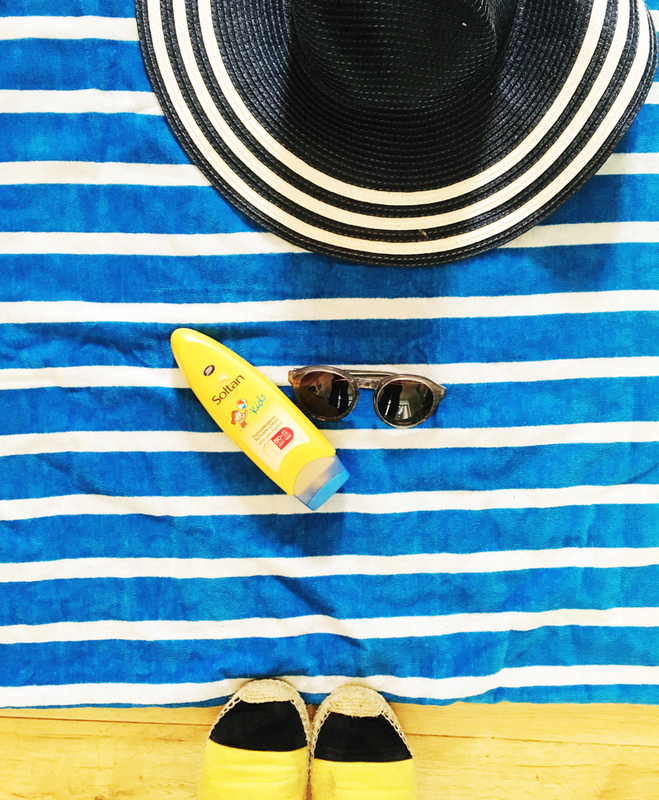 The level of UVA protection a sun cream gives is shown by its star rating but luckily all of Boots Soltan products are 5★ protected which means you’re getting the best protection. At this meeting we also tested our skin; being very pale and pretty much never tanning in my life (I just go red then go back to white!) I thought my skin might be a bit damaged. It turns out although I do have a bit of sun damage my skin also has the age or 24! I was pretty chuffed with that and thankful for my milk bottle white complexion, I also wonder if its a bit better because its prone to be quite oily. As a teenager I cursed my oily skin so much but I think I'm starting to appreciate it as I'm now 30 and apparently ageing quite well! The next day after a lovely stay at the Montcalm (despite the fact I had a grumpy baby who had refused to nap all day and meant we had to cancel a meal with friends and opt for room service instead) I headed to the event with the baby. I have to say I did struggle a bit with bringing Mabli, although she is only 6 months she is starting to want to move and was frustrated being held by me for so long or being in her pushchair. She also failed to nap again for more than ten minutes because everything was so exciting and so many lovely people wanted to say hello. I was also a bit exhausted after a sleepless night and I decided to miss any sessions and just hang out with friends. By lunch time it was clear Mabli was only going to get more grizzly and as I was shattered too and had a two and half hour journey home I decided to make me exit. I had totally forgotten that I was up for the 'Fashion and Beauty' award as I was so sure I wouldn't win I didn't even nominate anyone to pick up the award on the off chance. I got home just as the awards were starting and drinking a cup of tea and scrolling through twitter I was so shocked to find out I had won! Honestly it meant SO much to me, especially 6 months after having a baby. Fashion is something I've always taken a great interest in. As a teenager my favourite subject was art and I would take photographs of my outfits and play around with them on Photoshop (the first version if anyone remembers that eye symbol!). I didn't really know what I wanted to do after school so I chose to study Graphic Design as I felt it might cover the things I was passionate about the most, mainly photography, typography, illustration and design. I have to say I didn't fall in love with Graphic Design, I knew I wasn't a fashion designer or really an illustrator either and so after graduating I sort of bumbled about and then started this blog (almost 8 years ago now!). I could never have known at 18 that the things I loved doing so much then would actually become my job, one I created myself and included everything I love to do. I feel SO lucky to have this as my job and getting an award like this means so much as it means that people think I'm doing pretty well at it too! So thank you to anyone who nominated me, it means the world and thank you to all the lovely bloggers that helped me with the baby at BritMums too! If you want to see what we did with out 'summer 5* experience with Boots Soltan' then read this post.